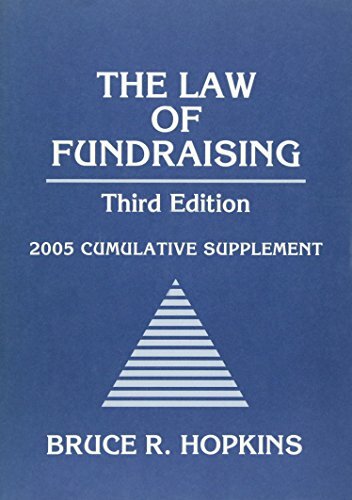 The Law Fo Fundraising 3/Ed: 9780471679851 Paperback - LIMEROCK BOOKS INC.
Raising funds to fulfill a nonprofit organization's goals is critical to its success, but fundraising regulations are an increasingly complex maze. Lawyers and nonprofit professionals alike need a guide to help them make sense of the many changes that affect all nonprofits. The most vital topics-including compliance issues, prospective laws, and regulatory trends-are explored in this essential volume.